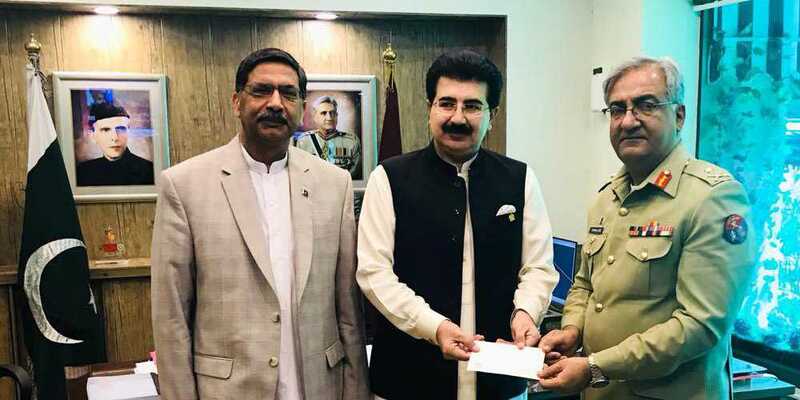 Chairman Senate Muhammad Sadiq Sanjrani has personally donated Rs1 million to the Armed Forces Institute of Cardiology (AFIC). He handed over the cheque to Major General Sohail Aziz Chief Commandant AFIC/NIDH. He observed that contribution of AFIC in health sector was commendable from which not just employees of armed forces but general public was also benefiting. “AFIC is an asset for the country and philanthropists should step forward to donate to this state of the art institute for continuity of services. This institute is a role model for health sector institutes despite having low budget.